Decorating your home that has a high ceiling needs a lot of creative thinking. Making a character in your place with those extra windows and walls is difficult and challenging than your usual sized rooms. In this article, our client in Mandaluyong City uses her high ceiling staircase windows in use to enhance her house appearance making it more modern and appealing. Certainly, huge window can be considered as an asset of a house. It allows natural light and breeze that makes the room brighter and lively and also makes the room seems to be spacious. There are several types of treating large window like fabric window treatment using usual curtains, window blinds or shades which can reduce or totally block the light to darken the room. In addition, we should also consider which window treatment can uplift the look of our room to make it lovelier and cozier. In selecting window blinds as window treatment for large window, you have to choose which is easier to operate and lovelier to look at; either a single panel blinds for the whole window or just split it off to several panels. Our client from San Antonio, Makati City, Philippines does also have a large window in his bedroom. He chose Combi Blinds for his large window and opted to split it in three panels for higher level of light control. He can chose what to adjust and open between the three panels and easier to operate due to its light weight. 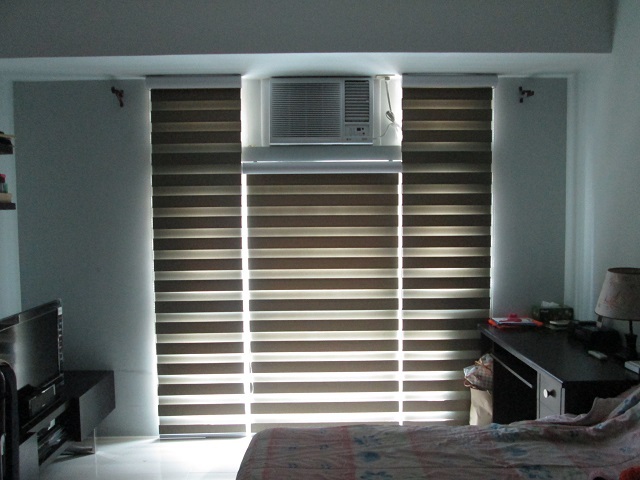 In DS Windows & Walls, we customize all kinds of blinds like Combi Blinds, Roller Blinds, Venetian Blinds, etc. We could do one large window as one panel as long as it is attainable on your window sizes. However, it is more advisable to prefer on splitting it on multiple panels not only for it cozier look but also for easier mechanism control. 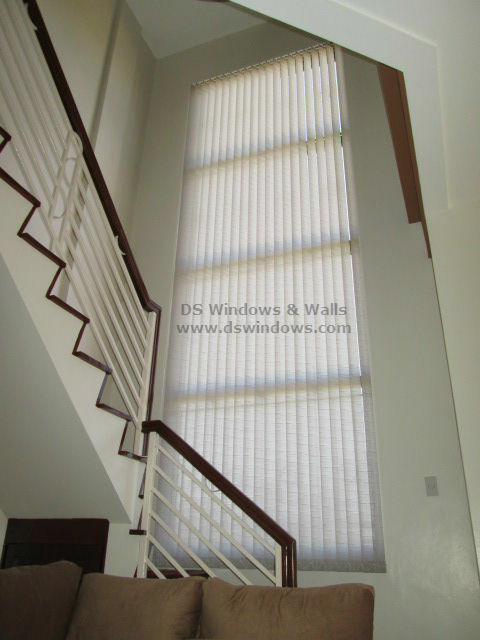 For more other huge window treatment, call us at (02) 403-3262 / 0916-31-3909 or e-mail us at inquiry@dswindows.com. You can also visit our showrooms located at 4th Level Waltermart Makati City, 3rd Level Robinsons Metro East and 2nd Level Pacific Mall, Lucena City. You can also visit our website at www.dswindows.com. For Calabarzon area, you may contact Mr. Patrick Villapando at (Globe) 0917-583-0214 or (Sun) 0922-592-6111. Filipino believes and it is part of our tradition that welcoming the New Year with new and delightful outlook can make the whole upcoming year prosperous and beautiful. Changing or replacing your window covering is part of re-decoration. 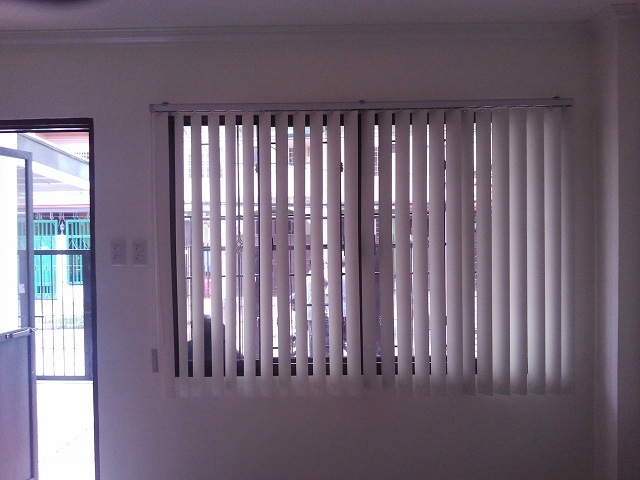 PVC vertical blinds are good choice in any part of the house. It offers different kind of colors and printed designs for you to choose which will suitably match up to your house theme. PVC vertical blinds are also great in controlling the light entering your room and it can provide you 100% of privacy and isolation. 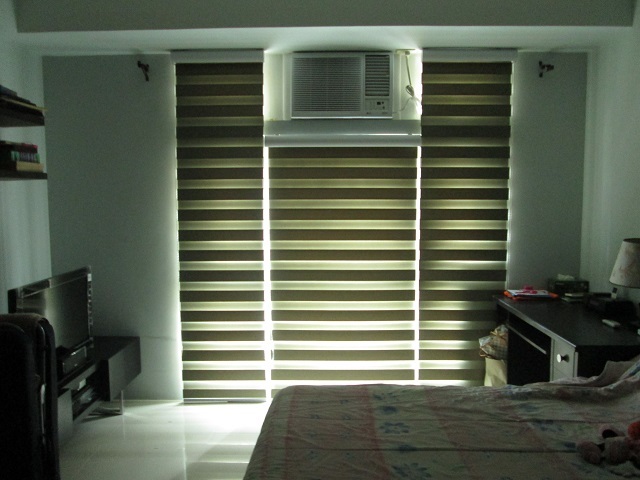 One of our clients in Las Piñas City opted for PVC Vertical Blinds – white color and corrugated design for their bedroom. They choose white because it is the easiest and safest color to match up to any furniture, wall and floor color. It is also great to look at and can brighten the atmosphere in your room effortlessly. 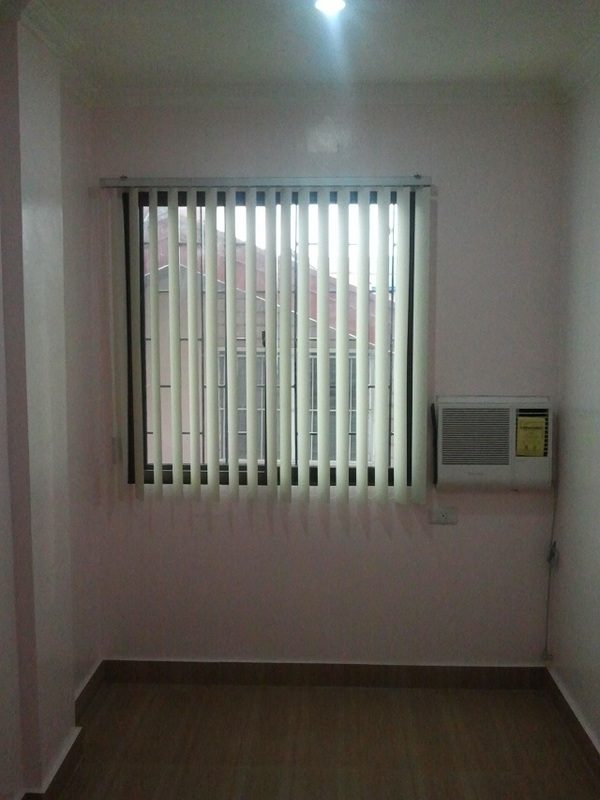 In DS Windows & Walls, we offer home visit to get the right measurement of your window and we also give free quotation. For more information, you can reach us at (02) 893-1373 / (02) 403-3262 / 0916-311-3909 or email us at inquiry@dswindows.com. For the actual samples of our products, feel free to visit us at 4th Level Waltermart, Makati City, 3rd Level Robinsons Metro East, Pasig City and 2nd Level Pacific Mall, Lucena City. You can also visit our website at www.dswindows.com. 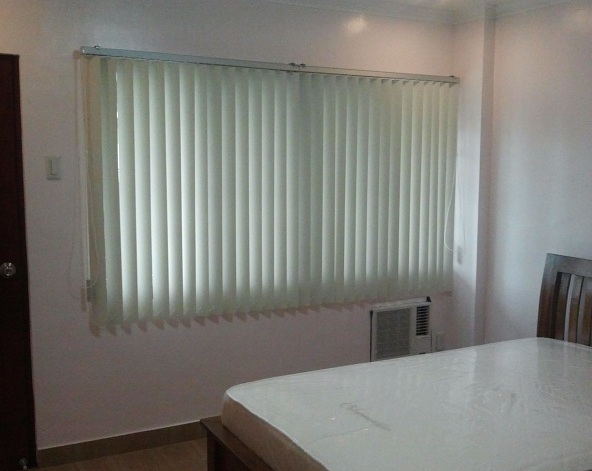 Call Us Now at (02) 403-3262 for your window treatment needs. Simply call us and we will schedule you for a FREE estimate and quotation if you’re within Metro Manila, Philippines. For a quick quote of your do-it-yourself measurement, email us at inquiry@dswindows.com. Don’t forget to visit our website at www.dswindows.com for more information.